JEOL JEM-1010 is a highly integrated compact transmission electron microscope (TEM) with advanced features and functions. The operating voltage ranges from 40kV to 100kV which is ideal for life science as well as material science applications. JEM-1010 is a high-contrast TEM because of low operating voltage and the design of objective pole piece. 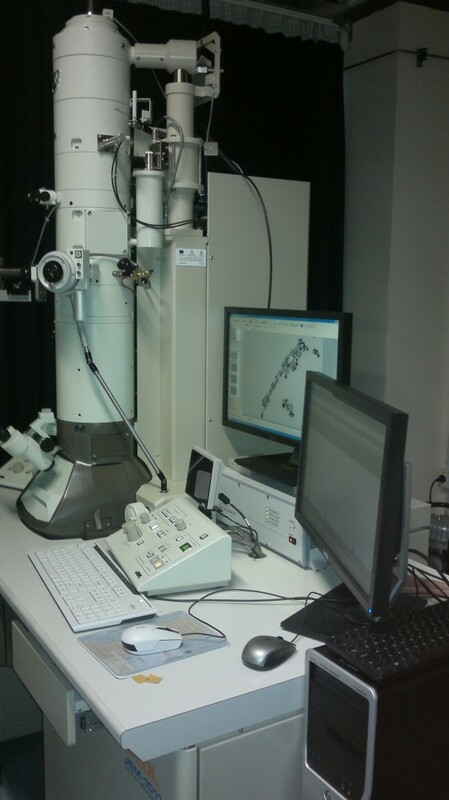 In addition, it is equipped with a CCD camera for digital image acquisition and a EDX system (Energy Dispersive X-Ray Spectroscopy) to identify the elemental composition of materials. 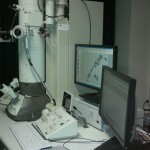 Campi di applicazione Structural and chemical characterization of materials the nanoscale. In particular the TEM is mainly used for the morphological characterization (size, shape and size distribution) of nanomaterials prepared by chemical synthetic approaches.